In this collection of ten essays, Amos Oz shares his rich and rewarding experience as both writer and teacher. As he analyzes the opening sections of novels and short stories by such writers as Agnon, Gogol, Kafka, Chekhov, Garcia Marquez, and Raymond Carver, Oz instructs, challenges, and guides. 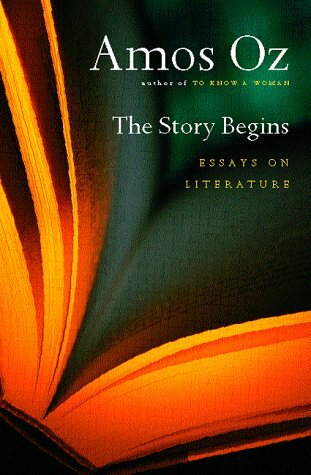 He writes about the notion of "beginnings," what the beginning of a novel or short story might "mean" to the author and how important it is. And best of all-he entertains. He highlights opening paragraphs in which authors make promises they may or may not deliver later in the work, or deliver in unexpected ways, or they may deliver more than they have promised. It is a game that miraculously and playfully engages both writer and reader. The Story Begins is a resourceful, accessible, and friendly companion for all students of literature and writing and for all book lovers.